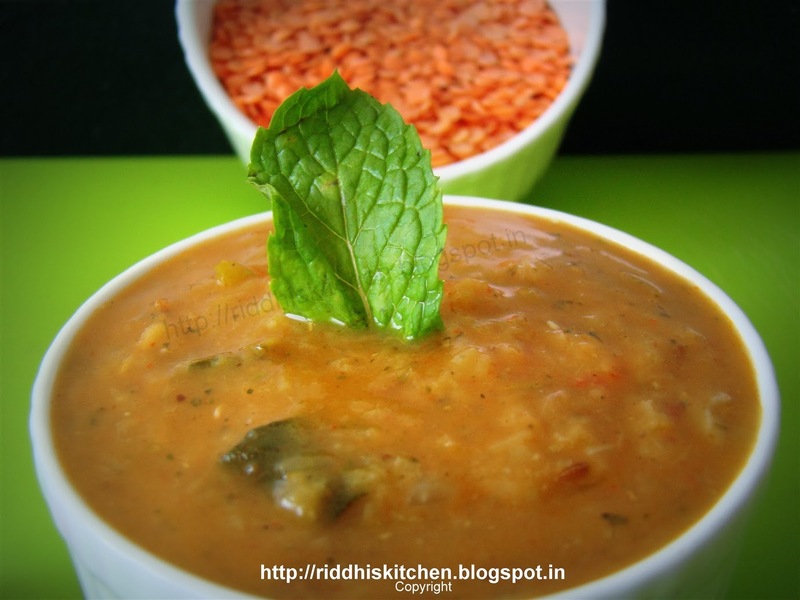 Soak masoor dal for 1 to 2 hour , presser cook with 1 cup of water for 3 to 4 whistle. Heat oil in kadai , add cumin seeds , curry leaves , hing , onion and mix well , add ginger paste , garlic paste , saute for 2 to 3 minutes . add tomatoes , salt and cook till tomato become soft . Add red chilly powder, turmeric powder ,coriander powder , cumin powder and mix well . add boiled masoor dal and mix well . if required add water . Cook for 3 to 4 minutes. Garnish with mint leave and serve hot .